With the right finishes, a bathroom can become an oasis to retreat to at the end of a long day, the epitome of relaxation. However, renovating your entire bathroom is often not doable for most people, due to the exorbitant costs, time commitment and labour required. An ideal solution for this problem is the installation of marble vanity tops by Cutting Edge Stone. Adding a marble top to your vanity instantly magnifies the luxury of your bathroom, and makes your vanity the centrepiece of your bathroom. Your bathroom vanity, after all, is where you spend a great deal of time getting ready in the mornings. The durable nature of marble allows you to display your personal care products, keeping them within reach instead of hidden in cupboards. The stunning visual appeal of marble also transforms your vanity into somewhere you can apply your makeup or skincare products, for example, in an opulent environment. If you have been looking for a way to transform your bathroom without a hefty price tag, speak to Cutting Edge Stone about our marble vanity tops, and the practical and aesthetic benefits they bring to your bathroom. Your bathroom benchtop is the centrepiece of the room, and sets the tone for the rest of your bathroom. It also needs to be a highly functional element of the room, as this is where you will store many of your personal care products. 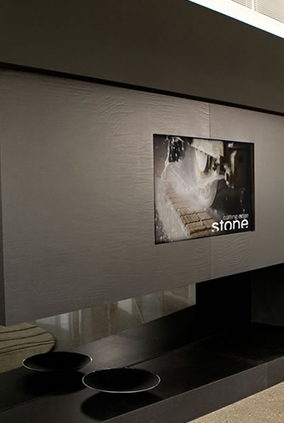 If you have decided to invest in benchtops for your Melbourne bathroom, Cutting Edge Stone can help you create your dream bathroom. Crafting the highest quality stone to your exact requirements, our team will deliver a bathroom benchtop that integrates well with the rest of your bathroom but also makes for a striking addition to the space. 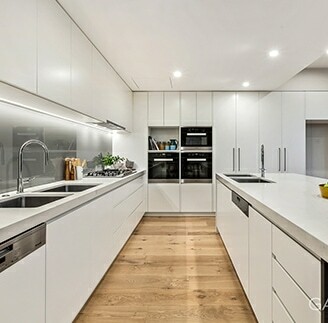 Whether you would like marble or granite for your bathroom benchtop, Melbourne residents can rest assured Cutting Edge Stone has the expertise to recommend the perfect material for your space, and complete the job to the highest standard.